The conference and seminar rooms forming the Ravens Conference Complex are some of the most attractive in Krakow in terms of comfort, aesthetics and equipment. 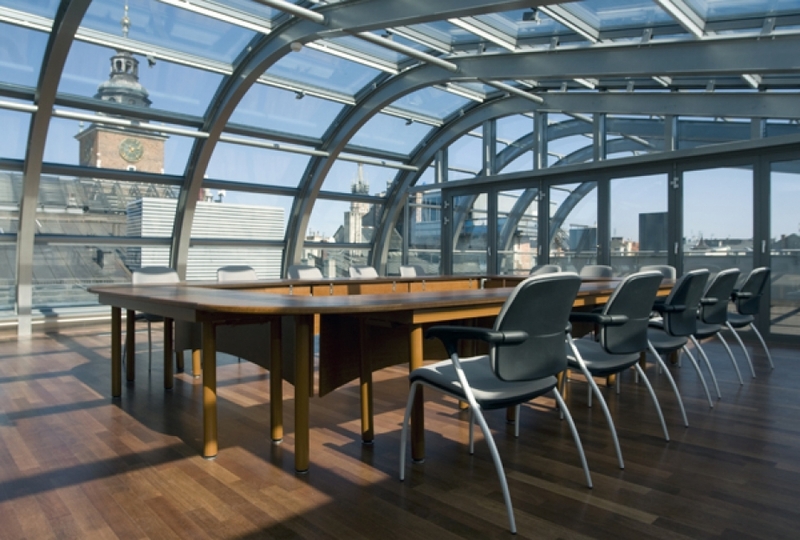 The special advantage of the venue lies in its central location in Krakow and architecture combining modern solutions with historic interiors. The Conference Complex rooms are used during events organised by the ICC: conferences, meetings, seminars, exhibition openings and educational programmes; they are also available for hire on a commercial basis. seminar room on the fourth floor of the front building (for 60 participants in a theatre-like arrangement of chairs). All the rooms are air-conditioned and fitted with professional audio systems, multimedia, internet access and a discussion system, and ensure access for the disabled. The conference room has simultaneous interpretation equipment and the basement rooms are fitted with a gallery system for posting paintings, prints or photographs, so they can be used as an art gallery. Ravens Conference Complex manager: Janusz Ogonowski (j.ogonowski[at]mck.krakow.pl, tel. 12 42 42 840, 608 512 717).